Disclaimer: FutureTech Financial, Inc. IS NOT A LAW FIRM AND IS NOT ENGAGED IN RENDERING LEGAL ADVICE. We are, however, closely affiliated with competent attorneys nationwide who may be of assistance to our clients if the need arises. Our philosophy concerning the consumer credit reporting and debt collection industry is very simple: HOLD CREDIT REPORTING AGENCIES, CREDITORS, AND DEBT COLLECTORS ACCOUNTABLE CIVILLY AND CRIMINALLY FOR THEIR ACTIONS AND/OR INACTIONS WHEN THEY VIOLATE ANY PROVISION OF ANY LAW THAT GOVERNS THEIR INDUSTRY! MAKE THEM PAY! Federal laws governing the credit reporting industry, known as the Fair Credit Reporting Act (FCRA, 15 U.S.C. SS1681 et seq. ), and federal laws that govern the debt collection industry, known as the Fair Debt Collection Practices Act (FDCPA, 15 U.S.C. SS1692 -1692p), allow for consumers who have been victimized by these companies' illegal and "willful non-compliance" to be compensated for up to $1,000.00 for EACH, SEPARATE VIOLATION they commit. This provision of the law was intended to act as a "penalty" against these companies when they don't follow the law. FutureTech Financial's network of credit and debt attorneys, in many cases, may take a client's case on a contingency (no up-front fee for representation) basis. There could be court filing fees and other costs that a client might be responsible for at the time of the retention of the attorney. The attorney will directly contact the violator about their illegal activity and may make a demand for client compensation, plus attorney fees, PRIOR to a suit actually being filed. In many cases, the violator may want to settle the violation without court intervention. 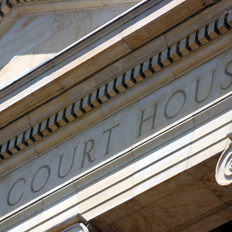 The attorney usually receives his fee from the violator through a settlement and not out of the client's pocket. Futurech Financial may act as a consultant on a client's case and could be compensated for this service by the attorney. Be compensated for time, mental anguish, embarrassment, etc. Stick it to the violator where it counts - in their wallet! We also assist clients in recouping money from unscrupulous credit repair organizations that violate Credit Repair Organization laws (CROA). There is no charge for this service. We believe that by helping to expose corrupt organizations, we help to better the credit repair industry and improve the ability of consumers to obtain legitimate assistance. Dave Pippin, CEO of Futuretech Financial, Inc., is working with his congressional representatives to enact major changes to the Fair Credit Reporting Act, Fair and Accurate Credit Transactions Act, and the Fair Debt Collection Practices Act, which will improve the consumer credit rating system across the board and shorten the time during which negative information can be reported about consumers.